Canadian explorer who became famous for his findings throughout North America, which included the Upper Mississippi River. He received orders to become a priest in 1662, but abandoned those plans to become an explorer. He presumably died on the journey back home when he went looking for his brother, Jake. He married Canadian citizen Claire-Francoise Bissot sometime before 1680. 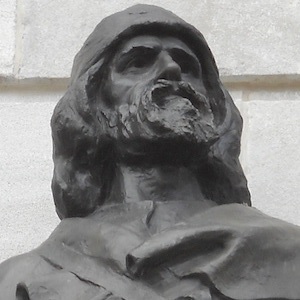 He and Jacques Marquette were the first Europeans to observe and chart the northern region of the Mississippi River.